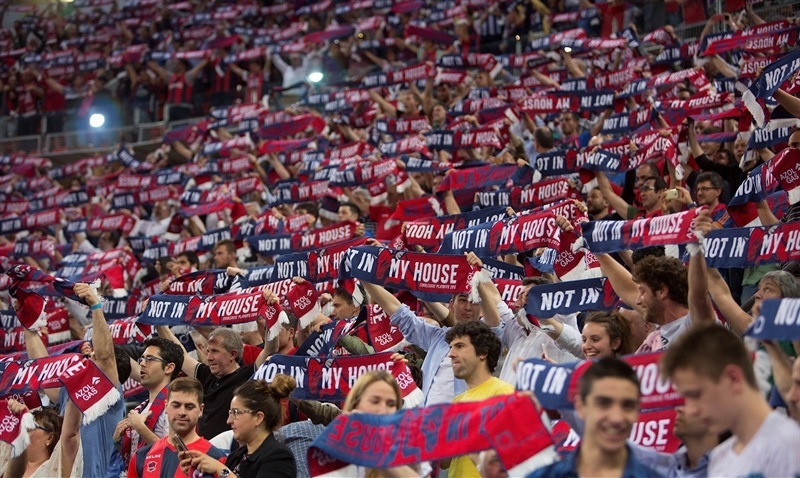 KIROLBET Baskonia Vitoria Gasteiz protected its home court to keep its season alive, downing visiting Fenerbahce Dogus Istanbul 88-83 in Game 3 of their Turkish Airlines EuroLeague Playoff series on Tuesday night. 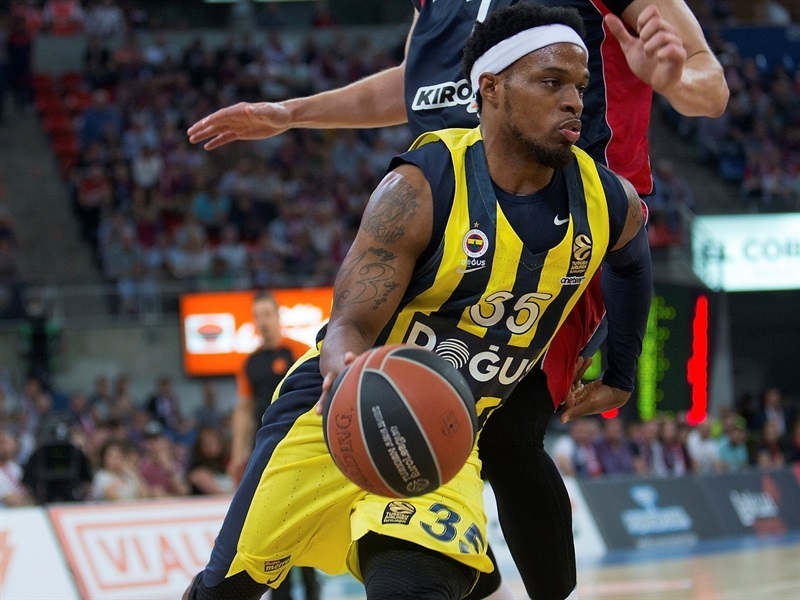 Fenerbahce leads the series 2-1 with Game 4 scheduled for Thursday night, again in Vitoria. 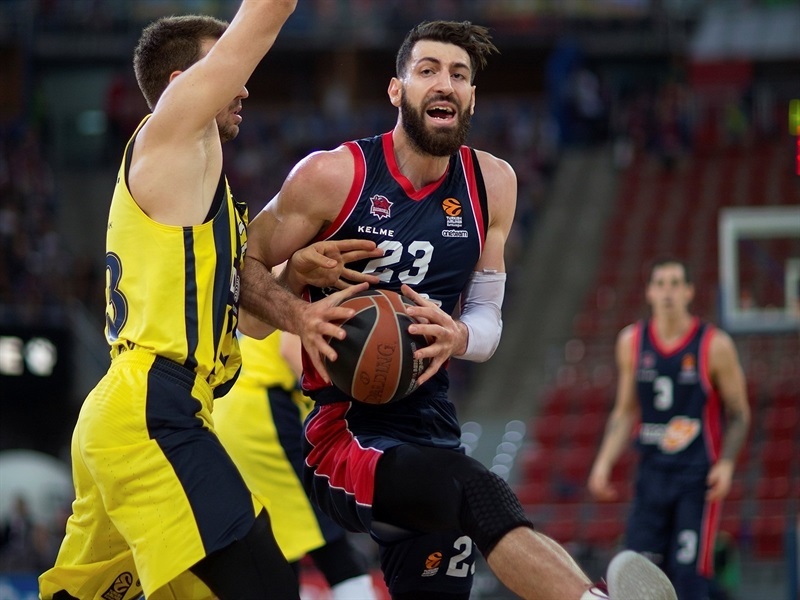 Baskonia hit 9 first-half three-pointers and took the lead for good in the second quarter, but Fenerbahce hang around and was within 67-66 after three quarters. 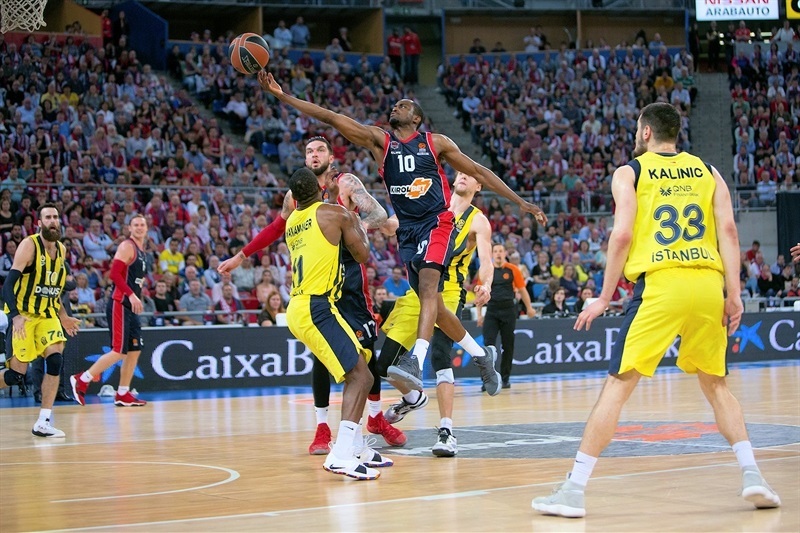 The hosts opened the fourth quarter with a 15-0 run and despite a late Fenerbahce rally, the hosts managed to preserve the lead until the final buzzer. 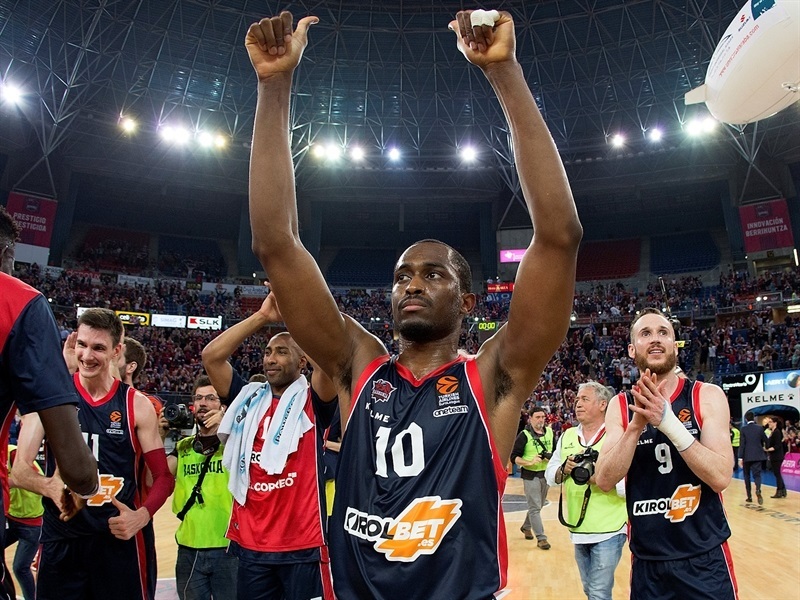 Rodrigue Beaubois had 21 points and also dished 5 assists for Baskonia, which hit 14 three-pointers on 25 attempts. Vincent Poirier added 12 points and 7 rebounds, Johannes Voigtmann also scored 12, Marcelinho Huertas had 11 points and 7 assists and Tornike Shengelia collected 10 points, 10 rebounds and 4 assists in the winning effort. 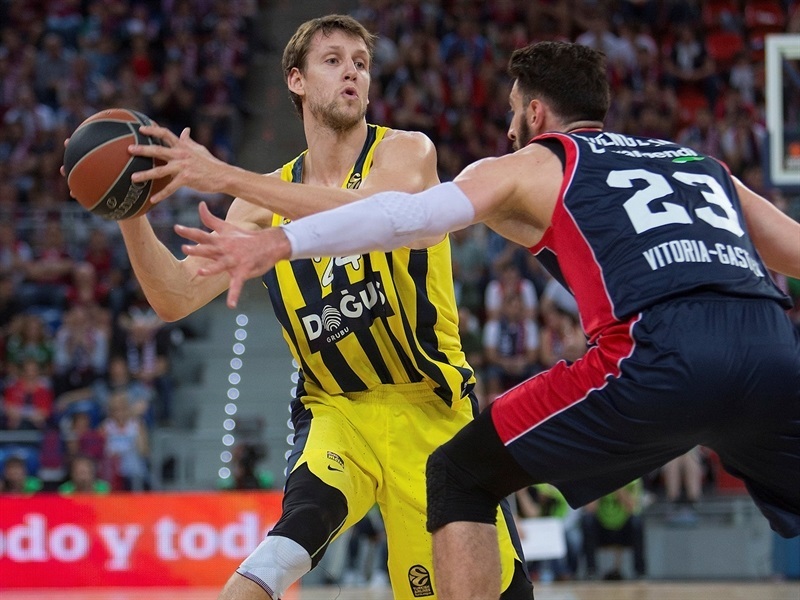 Jan Vesely had 17 points and 10 rebounds for Fenerbahce, which had its 11-game playoff winning streak broken. Kostas Sloukas had 14 points and tied his career-high with 11 assists, Luigi Datome scored 13, and Marko Guduric netted 12 in defeat. Ali Muhammed and Beaubois traded back-to-back threes as teams settled into an 8-8 tie in the early going. Beaubois hit his third triple and then dished to Huertas for a three-pointer. Huertas added a jumper to open an 18-10 advantage. 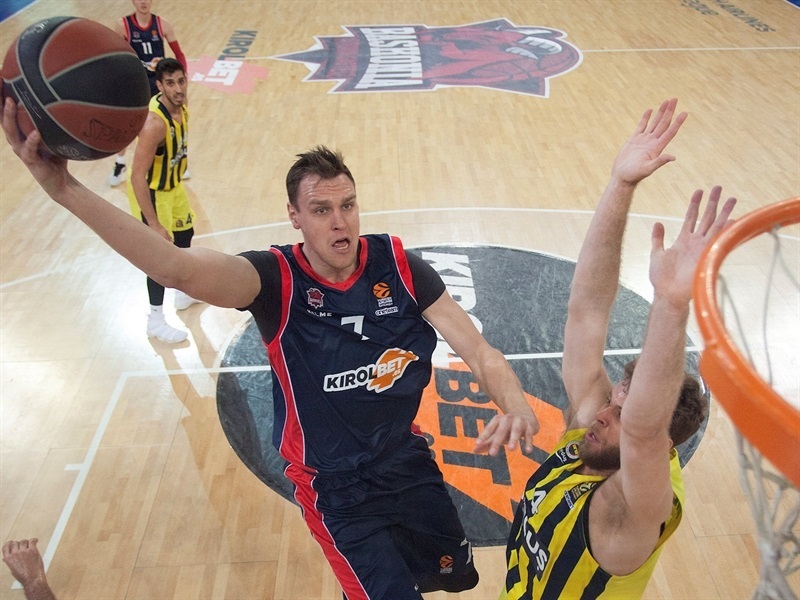 But Fenerbahce answered with a 0-8 run, including back-to-back threes from Nicolo Melli and Marko Guduric, before a dunk from Ahmet Duverioglu gave Fenerbahce a 19-20 lead after one quarter. 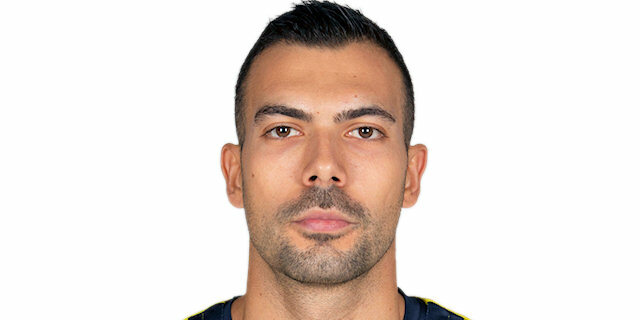 Melli scored in the lane on the opening possession of the second quarter, but that was a lone Fenerbahce field goal for almost five minutes. Luca Vildoza and Huertas each hit a three-pointer for the hosts and a Huertas-to-Poirier alley-oop made it 29-24. Kostas Sloukas ended the drought, and after Voigtmann’s three-pointer, Brad Wanamaker scored on a three-point play. Sloukas and Jan Vesely connected on a reverse alley-oop to cut the deficit to 34-33. 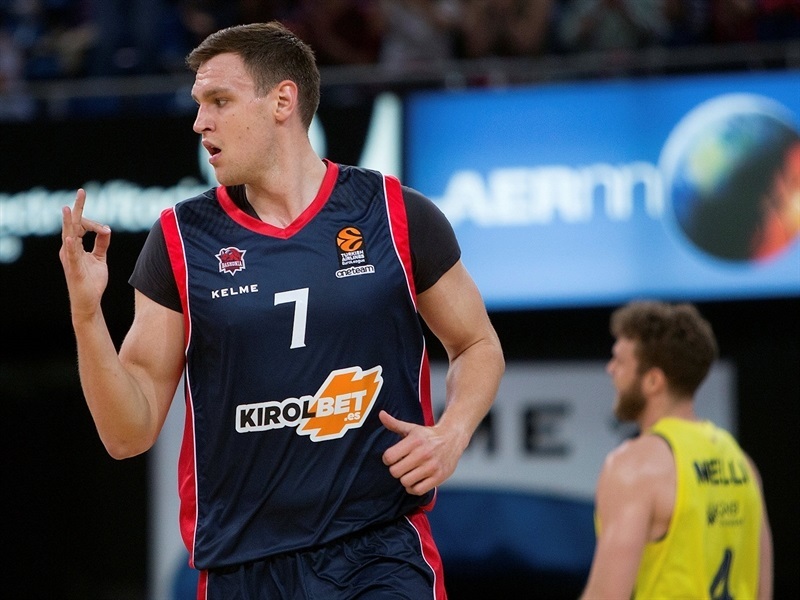 Huertas hit his third three in as many attempts, Beaubois followed it with a basket-plus foul and Voigtmann knocked down Baskonia’s ninth triple to make it 43-35. After a Fenerbahce timeout, Beaubois drove for an acrobatic reverse layup and Jayson Granger fed Voigtmann in the lane for a monster dunk to open a 12-point margin before Luigi Datome hit a last-second three-pointer to make it 47-38 at halftime. 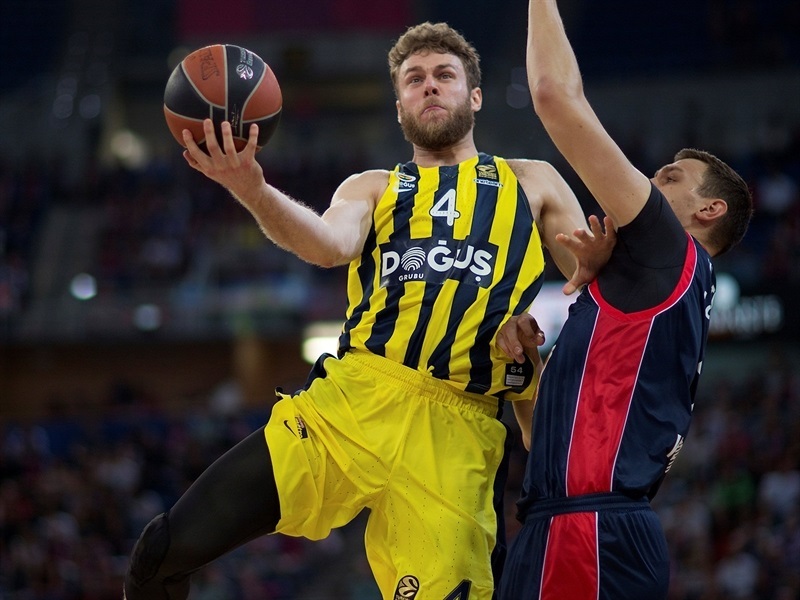 Vesely scored three times from close range, including trading dunks with Poirier, as Fenerbahce cut the margin to 49-44. Beaubois hit a three and Shengelia had a dunk that restored a double-digit lead, 58-48 midway through the third. Threes from Guduric and Datome made it 58-54, but Matt Janning connected on a triple and a jumper to keep the visitors at bay. 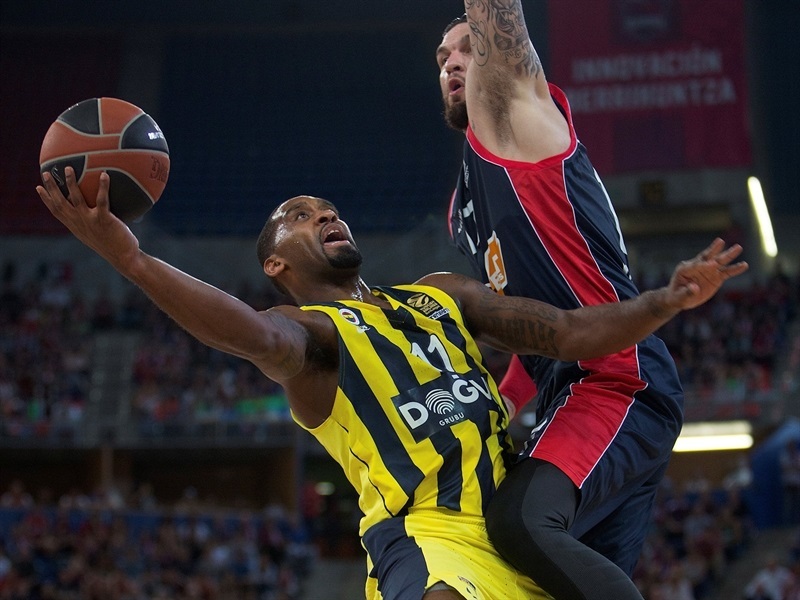 However, Guduric hit 2 more threes and Vesely added a three-point play before a jumper from James Nunnally got Fenerbahce within 68-67 at the end of the third quarter. Janis Timma scored from close range and long range at the start of the fourth, forcing a Fenerbahce timeout. Timma made another three, Shengelia added a put-back and a dunk on a Huertas assist, before Janning’s triple made it 82-66. Fenerbahce was without a basket for almost five minutes, before Melli made a pair of free throws to snap a 15-0 run. However, Muhammed hit a jumper to get the visitors going, before threes from Datome and Sloukas helped cut the deficit to 84-78. 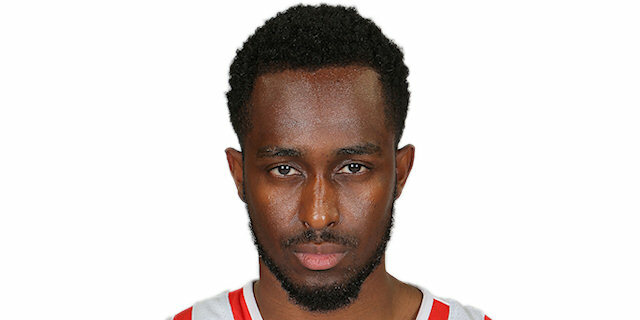 That’s when Beaubois hit a tough long jumper and on the ensuing possession forced a turnover under Baskonia’s basket with 1:39 to go that helped the hosts hold on.
" It was a very hard game against a team that always gives a sensation that will come back in the game when they are behind. 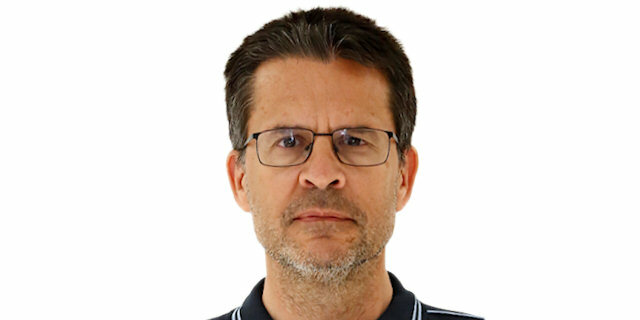 Their players are always threatening, and they are very well prepared tactically, both on offense and defense. We needed to be prepared and I am happy to have six players with more than 10 points, and a seventh player, Janis Timma, with 8 points. It was a team performance .We suffered on defense, but we were able to hold on. 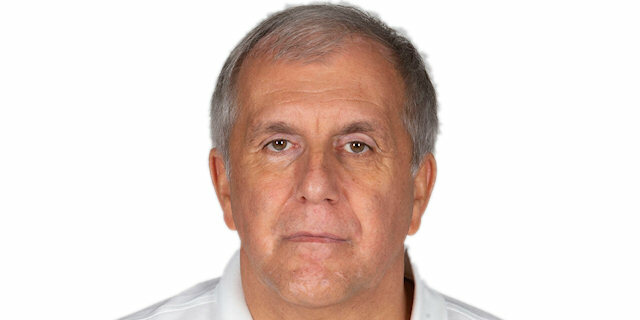 Now we have to maintains this, and improve, particularly against Jan Vesely." "I believe it was a very good game. 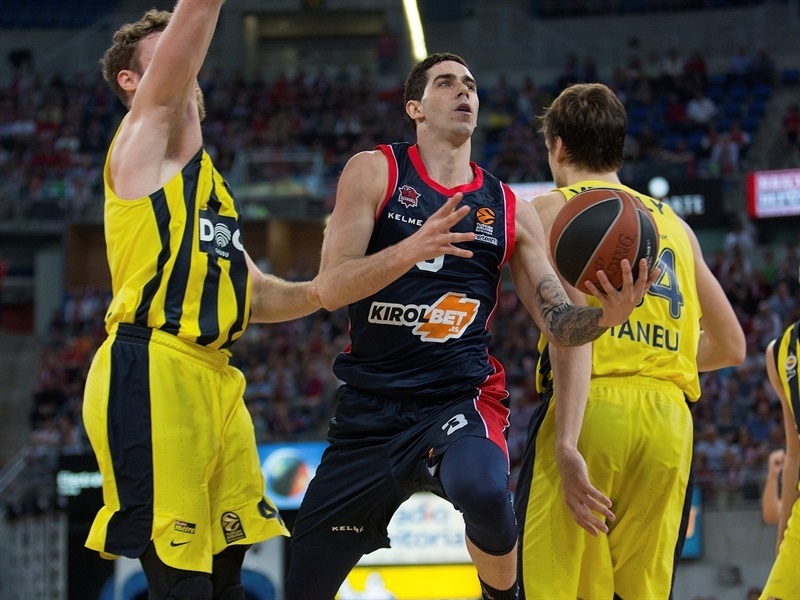 We knew that Baskonia will start playing aggressive, both on defense and on offense. There were some minutes of our bad game near the end of the second quarter where we had situations where we did not have foul problems, but still allowed them to score easy points and take an important lead. In the second half, we played a very good third quarter, but in the beginning of the last quarter we were again very bad. But we fought until the end. 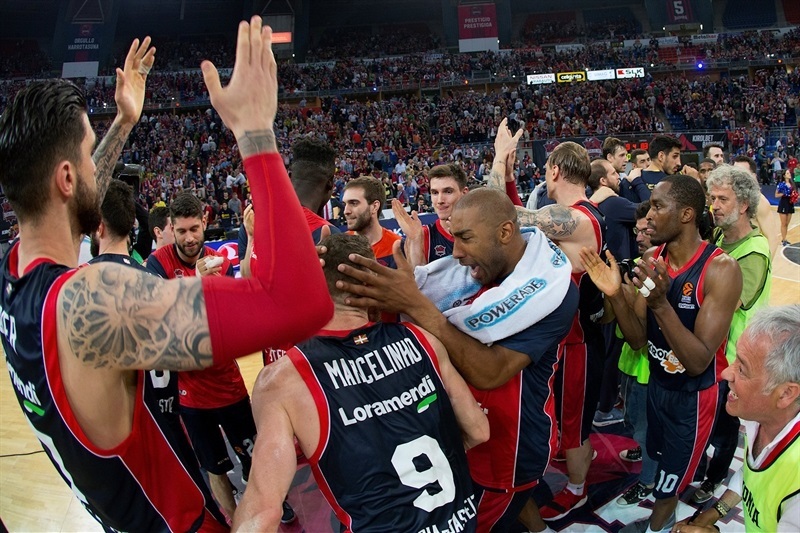 Congratulations to Baskonia, they deserved to win, but congrats also to my players because they tried to do everything." "It feels very good to be able to win in front of our crowd. They did a great job tonight; they really helped us, so we are really happy about this win. We wanted to be aggressive and with their help, they really pushed us, I think we did a great job tonight… We fought beginning to the end, we were all together and I really believe we deserved this win. In Game 4 we need to fight. Fenerbahce is a great team, we know that. We need to fight like we did tonight. That’s the only way we can win." "We knew it will be a tough game. We are one step away from the Final Four, but to make the third step we need to be really concentrated against Baskonia, which is a good team. Also, we need to be focused on details. In the second quarter we did not finish the first half good. Also the beginning of the fourth quarter. We have to fight more. We play for the Final Four. We have done a pretty good job until now, but we have to finish the job."